Sydney is known for nightlife, trails, beaches, parks, and museums. 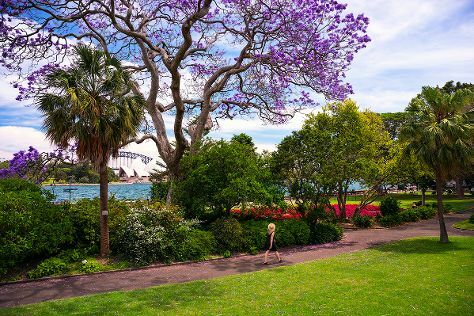 Your plan includes some of its best attractions: take in nature's colorful creations at Royal Botanic Garden Sydney, snap pictures at Sydney Harbour Bridge, hike along The Opera House to the Botanic Gardens Walk, and wander the streets of Darling Harbour. For ratings, more things to do, photos, and more tourist information, use the Sydney trip planner . If you are flying in from Mexico, the closest major airport is Sydney Kingsford Smith International Airport. Expect a daytime high around 29°C in November, and nighttime lows around 19°C. Wrap up your sightseeing on the 11th (Mon) to allow time to travel to Uluru-Kata Tjuta National Park. Uluru-Kata Tjuta National Park is known for nature, museums, outdoors, trails, and classes. Your plan includes some of its best attractions: admire all the interesting features of Uluru, take in the exciting artwork at Walkatjara Art, take your sightseeing to a higher altitude at Kata Tjuta, and admire the verdant scenery at Valley of the Winds. 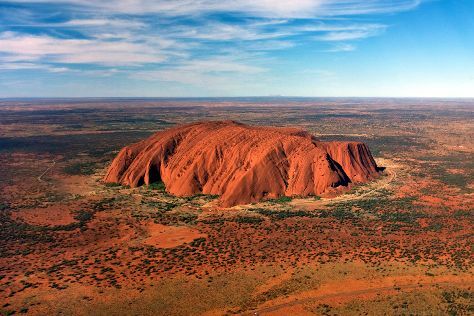 For where to stay, more things to do, traveler tips, and tourist information, go to the Uluru-Kata Tjuta National Park day trip planning website . Getting from Sydney to Uluru-Kata Tjuta National Park by flight takes about 5.5 hours. Other options: drive. Expect somewhat warmer weather when traveling from Sydney in November: highs in Uluru-Kata Tjuta National Park hover around 41°C, while lows dip to 22°C. Finish your sightseeing early on the 13th (Wed) to allow enough time to travel to Melbourne. Melbourne is known for museums, shopping, parks, zoos & aquariums, and nightlife. Your plan includes some of its best attractions: take in nature's colorful creations at Royal Botanic Gardens, meet the residents at Melbourne Zoo, see the interesting displays at Melbourne Museum, and get engrossed in the history at Immigration Museum. For other places to visit, more things to do, reviews, and more tourist information, use the Melbourne trip planner . Getting from Uluru-Kata Tjuta National Park to Melbourne by flight takes about 5 hours. Other options: drive. When traveling from Uluru-Kata Tjuta National Park in November, plan for colder days and slightly colder nights in Melbourne: temperatures range from 26°C by day to 11°C at night. On the 18th (Mon), you'll have the morning to explore before heading back home.